What might happen if we all let a part of ourselves we once buried grow? Both of these girls, the fictional one we’re reading about and the real one I’m reading with, are letting parts of themselves that they initially buried grow. And it’s a privilege to witness. This past week, my reading partner and I were in a room with the quote, “ They tried to bury us. 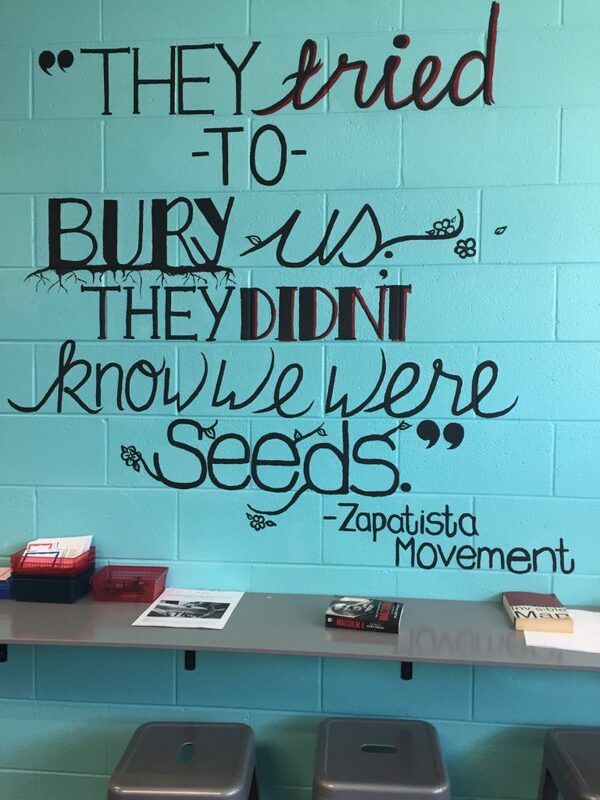 They didn’t know we were seeds.” on the wall. As we sat there reading I couldn’t help but wonder what might happen if we all let a part of ourselves we once buried grow?